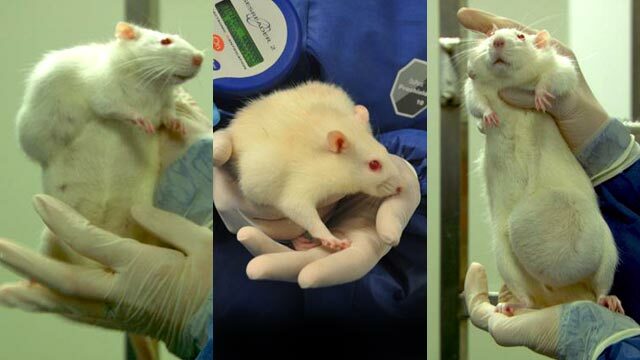 Throughout the 20th century Puerto Ricans – particularly Puerto Rican women – were used as lab rats in “clinical trials,” with experimental drugs that harmed their health. The contraceptive pill was “tested” and “refined” in Puerto Rico. Over three decades nearly 200,000 women had their fallopian tubes cut, without being told. Fox News is proudly announcing a clinical trial in Puerto Rico of a “DNA-based” Zika vaccine. The “DNA-based” vaccine is being developed and tested by a company named Inovio. In other words, and in plain English…the US government and Inovio have tested GLS-5700 on animals. And now, the first human beings they will test it on are…Puerto Ricans. Also in plain English, a “DNA-based” drug is one which alters your DNA. It causes some of your cells to grow and replicate differently, from the way that nature intended. This is not very far removed, from the definition of cancer. So in plain English, a gene-altering drug which may cause cancer, is being tested on Puerto Ricans. Not surprisingly, the Inovio website shows that they are primarily a cancer research company. The fact of medical experimentation – not the rumor – is well-known and well-documented. It has been reported in our national press. “Us” does not include the blond woman on the cover of Time, who is a paid model. “Us” are the black and Latino children in Washington Heights who are killed in lethal AIDS drug trials…and become known as the Guinea Pig Kids. “Us” is the Black Box warning that Genentech adds to its “cutting edge” drug Xolair, after it has killed unsuspecting Latino women suffering from asthma. “Us” are the nine years of contraceptive drug trials in Humacao, PR, foisted on tens of thousands of unsuspecting women, which resulted in blood clotting, strokes, heart attacks, and death. In general, “us” does not include the writers and editors of Time magazine. Time magazine, and most of its readers, should stop whining. They will never be “us.” They don’t even know what “us” is. The DNA drug trials on Puerto Ricans were cleverly engineered. The epicenter of Zika in Latin America is Brazil…where the epidemic is so advanced, that the Zika virus is now found in common house mosquitoes throughout the country. With DNA altering drugs, that may lead to cancer. To the victims of this “DNA drug trial” in Puerto Rico, please be careful what you sign. Do not sign any “waiver and release” forms, which would shield Inovio from legal liability for any harm caused by their “cutting edge” DNA drugs. Notice how the press release on their own website ends with a 503-word legal disclaimer. In other words, even Inovio is flying blind. That they do not know what their drugs will do…what help or harm they might cause. The only thing they do know, is that they will alter your genetic structure. So naturally they test it…in Puerto Rico. Back in the 70’s while enrolled in Brooklyn College. An American Doctor. Was known to do harm to Puerto Rican woman. By the time they realized what he was doing, he was dead or close to it. If people would educate themselves and stop being ignorant regardless of the race, those scumbags wouldn’t test that poison on the people. What does Puerto Ricans again mean ? Blacks above any nationality have been used for the worst experiments. With this question be careful what you are implying. Wow other then not signing a peace of paper what can our people do? This should be brought out to the light so people can be aware of what these basterd are doing. This is racism to the umpteenth degree. It is disgraceful that minorities are used as guinea pigs. Something needs to be done to stop this. 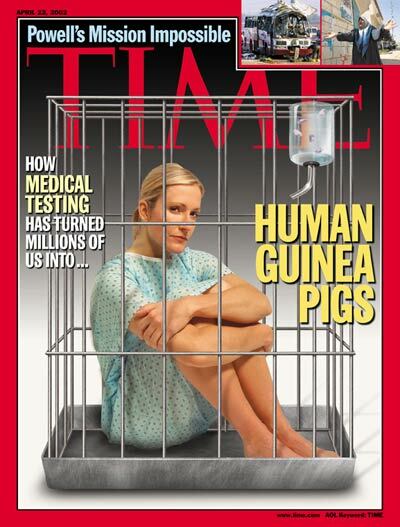 That is fowl and wrong to use humans as lab rats!!!! El experimento para la cura del ALZHEIMER que estan pidiendo voluntarios, tambien sera’ algo riesgoso…???!!!!! This is actually misguiding. That’s not how the vaccine works and how DNA-based drugs in general work. They aren’t easily comparable to cancer. You are scaring people in an unscientific way! Get your facts straight. It’s immoral that they are testing in Puerto Ricans as they did in the 20th century; but your science is wrong. Don’t worry about it, my God will take care of that. Con razón cacarearon tanto sobre el zika en Puerto Rico. Es que ya preparaban el camino para usarnos nuevamente como conejillos de Indias. Les maldigo todos sus muertos. This testing in Puertorican women is atrocious. Are they even asked for permission to do this and given the dangers that might result? Suggestions: contact the local PR radio stations and tv. Send them a copy of the magazine article. Donate a few books to the Puerto Rican libraries, announcing on the tv news channel and best of all the PR it will benefit all people specially all those that doesn’t have access to internet. Awareness is the key of what went on the past and What is going on in the present. Good Promotion for your book. que ningun puertorriqueno se deje cojer de conejillo de los americanos. Mas que nunca necesitamos nuestra independencia. There is studies being done RIGHT HERE IN THE STATES too, ie. Midwest MISSOURI where they pay next to nothing to low-income, or down on their luck people, & collage kids. To be human lab rats as well. to slyvia dont you worry my sister Karma is going to hit evil white america on every level.lets start off with slavery when they hung raped & beat my african brothers & sisters.. when they go to other countries and steal from innocent woman & children and poison the world with there evil methods and use what they call religon for there evil power.when you folliow the evil white man you you are selling your souls to the devil .dont go to church it is a sin & there trap. religon churches pastors were created by the evil white slave masters to manipulate the mind of the slaves in thinking that the evil white man is superior to none its all lies and if you keep following the devil your going to drown in red quick sand.Wake up black & brown people we are Gods chosen and they know that and there very afraid.God bless us all in the name of the king Jesus Christ !! Hesus to me.the 12tribes of israel wont be denied.Que Dios me los bendigas a mi gente latina a la rasa negra y a la tierra de Jesus mi Puerto Rico.Amen. I read this book and it really disgusted me. Puerto Rican people read and get educated yourself in what’s happening to us. This is not a new thing it’s been happening for centuries. Very sad to hear but it’s the truth. May God be with us. Reblogged this on Brian Ragsdale Writer.com. Every time Americans say The United States is the greatest country in the world it makes my stomach turn. I’m so hurt I just don’t know what to say. Why do these things happen? What other horrible things are done to besides us? Only one word comes into my mind: DISGUSTING NAXIS, I can only compare this to Hitler and his abusive discrimination practices that can’t be permitted at all. Let no room for any other interpretation as this is a crime and the fact is that no human being should be treated as a lab rat! America the great? Hum, I wonder? Love my country but not this decision……..
its part of the devils plan meaning the white race.whats going on in the world today has nothing to do with politics whats hsppening is that Jesus has been betrayed by the evil sick white race and he is taking it to there souls there getting weak there very afraid and out powered by Gods chosen which are the black & brown people the 12tribes of israel.Times up you lost .Chek mate! que dios me los bendigas a todos a mi gente de africa latin america a mi boriken y el caribe completo. los diablos de america van a saber que con Jesu Cristo no se juega!!!! Sure, why not?? Go ahead .. do it again!! “Throughout the 20th century Puerto Ricans – particularly Puerto Rican women – were used as lab rats in “clinical trials,” with experimental drugs that harmed their health. The contraceptive pill was “tested” and “refined” in Puerto Rico. Over three decades nearly 200,000 women had their fallopian tubes cut, without being told.